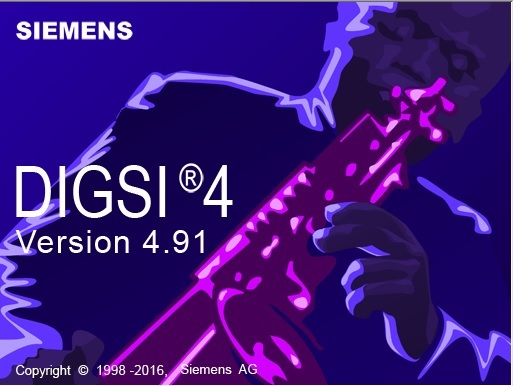 This provides a general overview to the process of setting/modifying DNP 3.0 maps in Siemens SIPROTEC 4 series Protection Relays, using DIGSI 4. 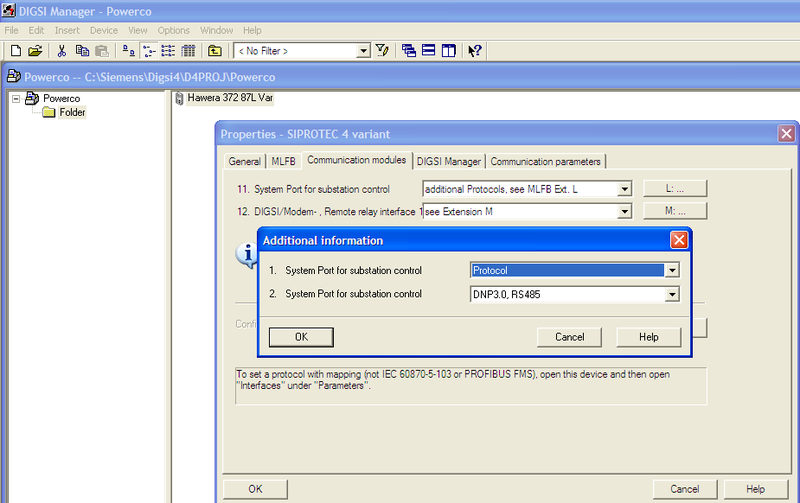 DNP 3.0 mapping information is part of the DIGSI “.dex” file information. It is not a separate file. The map is loaded/updated as part of the relay settings. 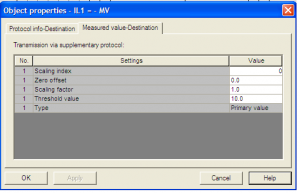 Mapping is achieved by routing items in the I/O matrix to/from the System Interface. (“System Interface” is Siemens term for the SCADA interface). 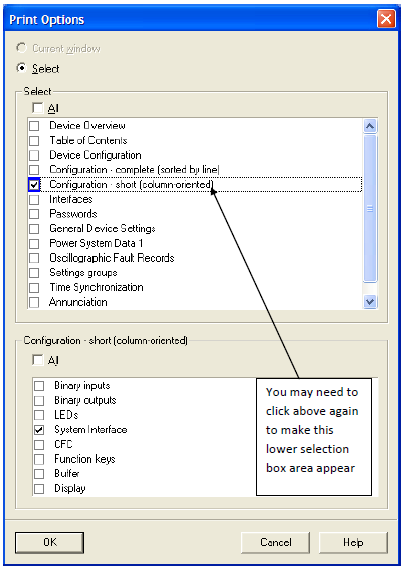 Note that if creating a setting file from a blank template, make sure the selected MLFB for the target relay includes a DNP protocol card, otherwise the points on the Matrix will not be able to be assigned to the DNP interface. [Right click to view the Properties on the setting file, prior to opening the file]. 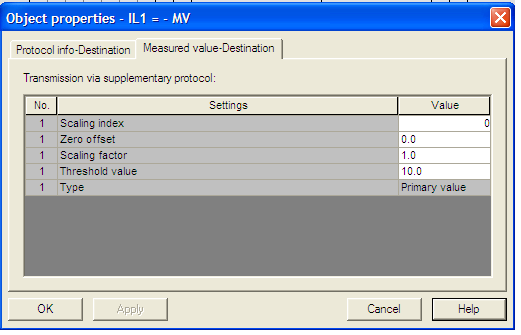 Ensure the filter is selected to allow you to see Commands, Indications or Measured Values etc as required. 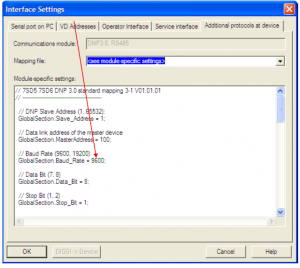 In the “Interfaces” object (below), the “Additional protocols at device” is used to set general SCADA parameters. Note that below example shows “<see module-specific settings>” which indicates that DNP map has been changed from manufacturers standard. 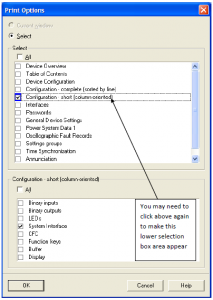 If you change this selection back to “DNP Map Standard…..”, all your DNP settings in the I/O matrix will be lost! While the below appears to be a text report file, you can actually overwrite the settings to change the SCADA baud rate and other settings. The SIPROTEC “System Manual” provides information about the common features across the entire SIPROTEC 4 range. This is a useful reference document. The Product Specific manual, e.g. 7SD610 Manual, refers to the specific hardware and protection functions of the specific relay variant. 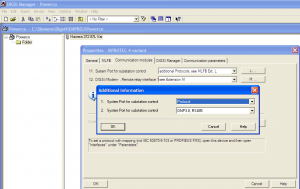 The Communication Manual, of which there are versions for each of the different Protocols supported, and also different versions for different SIPROTEC relays, gives the specific DNP mapping/protocol information. All three manuals contain different information about DNP mapping.